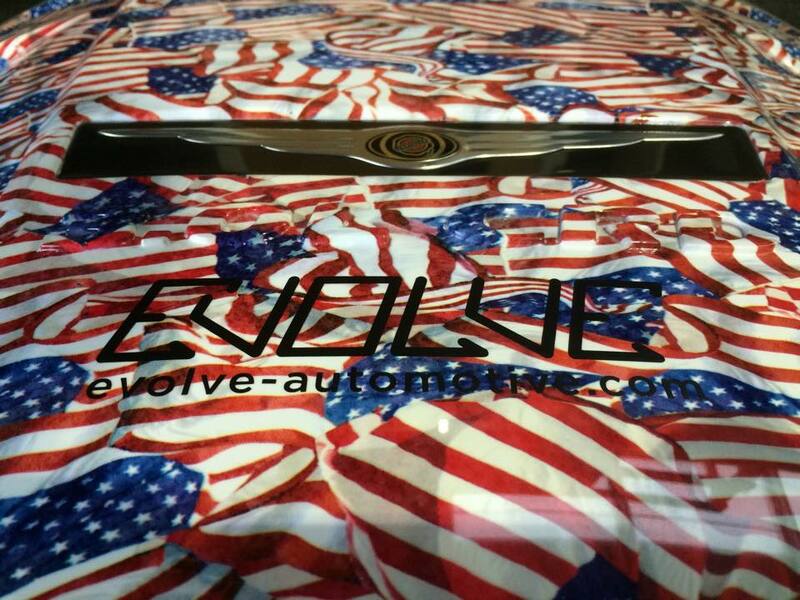 Evolve is one of the UK’s leading custom dipping specialists, also known as water transfer printing or hydro-graphics, the most cost effective solution to customising 2 and 3 dimensional objects. With a wide range of custom colours and be-spoke designs virtually any design can be applied to everything from alloy wheels, vehicle trims, gearboxes and brake callipers. With endless applications, the only limit is your imagination. The final professional finishing process produces a matt, semi or high gloss finish which is extremely durable and resilient. Our designs can give any product virtually any look. Whether it’s wood, plastic, metal, plaster and alloys. With its durable finish there are endless applications, it can be used for your vehicle, aircraft, marine, hunting/outdoor pursuits, hobbies or around the home or office. With a wide range of custom colours and bespoke designs,we pride ourselves ¡n quality and excellent customer service. Along with one-off custom work and 100% satisfaction guaranteed. All our work is carried out in house using the best automotive paints lacquers and techniques. Our designs include: Carbon Fibre, Camo, Woodgrain, Metals, Marble & Stone, Animal Print, Illusions, plus many more! The product being dipped can be custom designed and all base layers can be sprayed from any choice of colours to match the paintwork of the vehicle. The final finish or lacquer, which is professionally applied and baked, can be matt, semi or high gloss depending on preference. So take advantage and be one of the first to have this very unique product. We even offer a bespoke service if you live out of the area, send us a picture of the item you require dipping and what film choice e.g. carbon, etc. We will send you a quote, post the item to us and we post back when completed and even better we pay the return postage! Samples can be made up before you make your choice. So how does Hydro-Dipping work? The hydrographic process consists of transferring a pattern to an object using water displacement. Any material that is hard surfaced and non-porous such as glass, wood, metals, fiberglass. ceramics and all types of plastics and can be submerged in water without harm can be printed. There are hundreds of patterns to choose from. The most important step in the hydrographic process is the preparation of the article to be printed. A base coat is applied to correspond with the pattern to be printed, We can also control the contrast through the application of both the base coat and finish coat. The pattern you have chosen has been printed on a water soluble polyvinyl film. This film is carefully laid on top of water that is contained in a special made tank for hydrographic printing. The object being printed can now be dipped through the pattern. The water being displaced by the object causes the pattern to wrap around and adheres the print to the object no matter how complex the shape. Creating a continuous finish. The item is then rinsed to remove any residue and then air dried. Two coats of a Clear Lacquer are applied. You may choose a flat to a glass like high gloss finish. Automotive Lacquer finishes meets the most demanding standards for hardness, Uv resistance, chemical resistance and adhesion. It is also easily maintained. 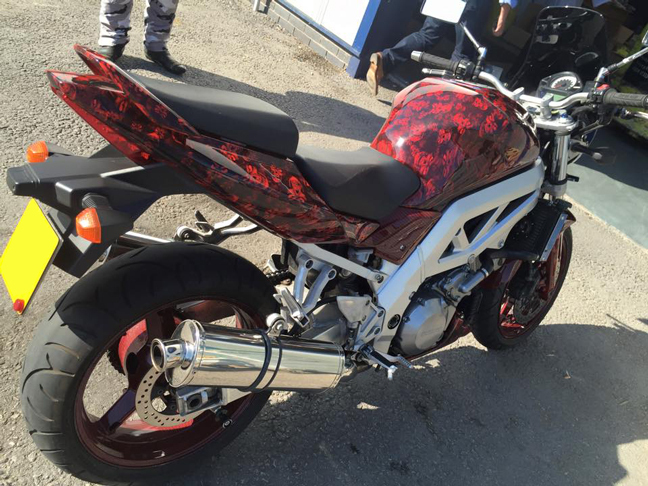 Hydrographics can transform the surface of many objects from vehicle engine parts, dashboard areas, alloy wheels, gaming consoles, controllers etc.